Yet, we want them to know Jesus and we want them to love God and we want them to have a deep and meaningful life. I figured that as I pulled together some ideas and resources for her, I could share them with you, too. As Christians, this is, of course, the biggest story we hope our children will learn, but we also, as parents, have a deep desire to introduce the story in age appropriate ways. So, I have come up with a few tips for parents and a list of some resources with ideas about how to share these powerful scriptures with our children. Know the story yourself: Even if the story is familiar to you, get out your own Bible or use The Bible App and spend some time reading the scripture passages of Jesus Last week. (At minimum read about The Triumphal Entry, The Last Supper, Praying in the Garden, Arrest and Trial, Crucifixion, Death/Burial, Resurrection). The Bible App has several reading plans about Easter and Jesus’ last days, if you need help finding the passages. Pray about sharing this story with your children: As you read and re-read these passages, pray that God give you new understanding and clarity around these scriptures and that God help give you the words to share these with your children. Recognize that questions, doubts and not having all of the answers are completely okay: I want my children to know that just like them, I continue to be on a faith journey, just like them. Remember, even the Disciples had doubts and they were with Jesus daily for several years! Encourage questioning and affirm that doubting can lead to a very meaningful faith! Don’t be afraid to say “I don’t know the answer to that, or I have questions about that, too” with your children. Validate their doubts and questions and commit to following up and finding out more information to help them build a framework for understanding. Know that you can ask your pastor (or contact me), other friends and family members, or you can engage in more personal study and prayer as you seek to discern answers. Find relevant times to engage in faith discussions without making it seem like a lecture: I often have music that is faith-focused on in my car when my kids are in the car with me and when a song with particularly striking lyrics comes on, I will comment about it. I’ll say something like, “this song has a great message, did you hear what the singer is saying…she is singing about how God loves us no matter what. What do y’all think about that?” It creates a very natural lead in for conversation. Dinner time is also another great time to talk faith. Read a scripture passage together and just talk about it together! Finally, bedtime is another great time to share faith with your kids. Include a Bible story among the other bedtime stories you read with your children at night. : this is a Bible translation specifically geared toward the reading level of 8-12 year olds. I very much like the Spark Bible. This is an excerpt from that version of the Bible that is focused on just the Easter scriptures. Always a favorite for preschoolers. The Message//REMIX Paperback Wood: The Bible in Contemporary Language …I find that while The Message translation isn’t my favorite for personal Bible study, this translation seems to resonate with older elementary, middle and high school kids. The everyday language makes it easier to understand. The Action Bible -my 7 year old son has this Bible and it’s pretty cool! It’s written in comic book form, but definitely not in a preschool comic form. This is a great bible for elementary, middle and high school. The other day, my son and I got out that version of the Bible and instead of reading it, I had him retell the events of Jesus’ final days back to me in his own words. I was overwhelmed with how much he knows already! 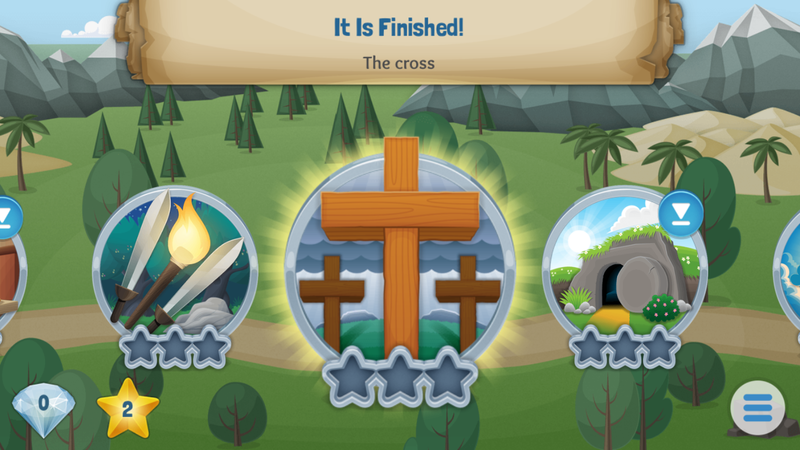 This would be a good way to see what your kids already know about the Crucifixion and Resurrection. 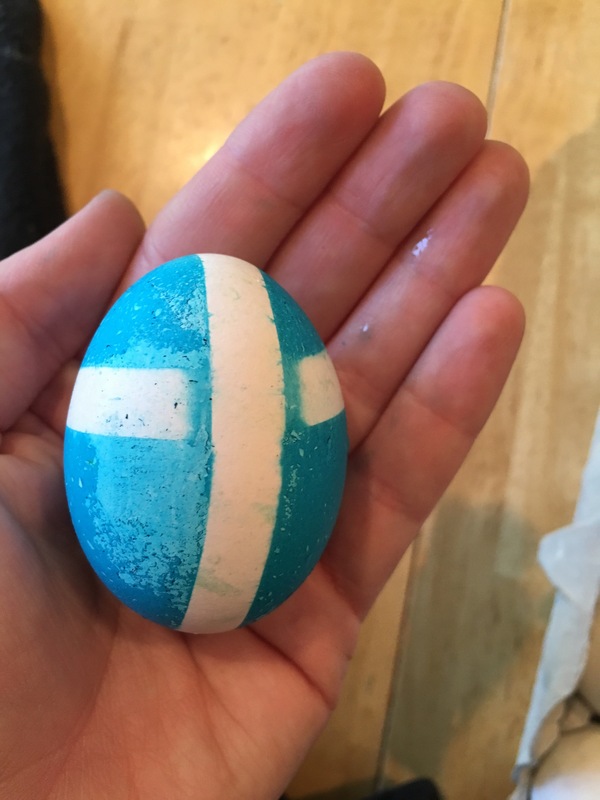 Resurrection Rolls—when you bake a marshmallow inside of these rolls, it dissolves leaving the roll empty—leading to a discussion of the miracle of the empty tomb. 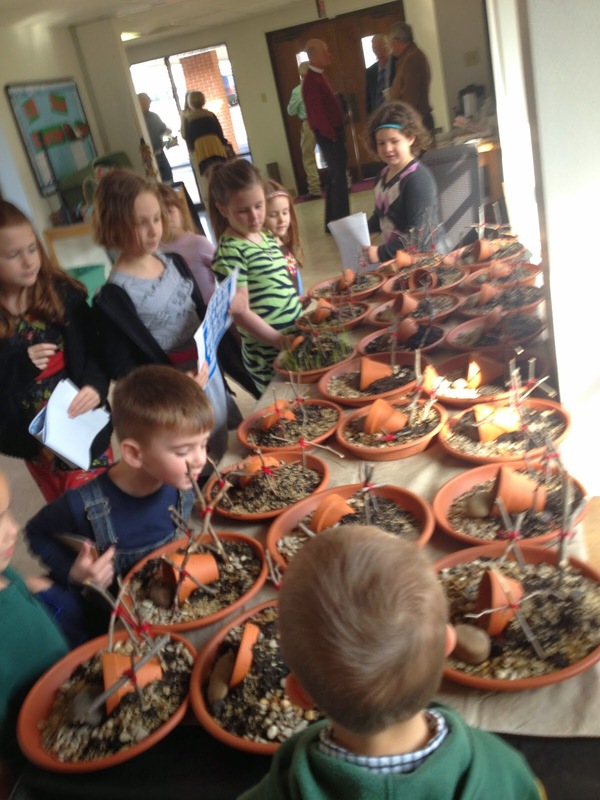 Resurrection Gardens–this is one of my all time favorite activities that I’ve ever done in Sunday school with kids. All ages will love creating one of these and watching the grass seed grow makes a great opportunity to talk about new life. Resurrection Eggs-make a set of these together and then use them to help your child learn how to retell the story. You can find countless versions of this activity with DIY instructions online. You can also purchase sets already made online or in many Christian bookstores. These would be great gifts in an Easter basket. Don’t be afraid of talking about hard things with your kids: while you don’t need to go into all of the specific details about how Jesus was crucified, you can still talk about the nails and talk about “sad things” with your kids. You are the only one who will know what is appropriate for him or her. You’ll find the balance. I like to say little, then wait for the kids to ask questions. When my 7-year old son asked me more detailed questions about how Jesus was nailed to the cross, I shared more details, but cautiously. I find that sharing a little at a time helps to avoid overwhelming a child with the “gory details” of the death of Jesus. Overall, know that you’ve got this! God will guide your words as you seek to share the Good News found in the life, death and resurrection of Jesus the Christ with your children. You are doing a good thing, my friends!